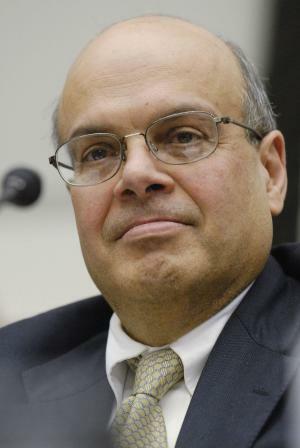 Ajit Jain was born in 23 July 1951, in Orissa, India, and is a Berkshire Hathaway employee, best known to be the head of several re-insurance businesses. He’s also known to be the older cousin of the former CEO of Deutsche Bank Anshu Jain. All of his efforts have helped put his net worth to where it is today. How rich is Ajit Jain? As of late-2016, sources estimate a net worth that is at $2 billion, mostly earned through his work with Berkshire Hathaway. He is the president of their Insurance group and is the head of their Indian Insurance market venture. He’s also considered to be the heir apparent to Warren Buffet, and all of his achievements have ensured the position of his wealth. Ajit attended the Indian Institute of Technology, Kharagpur and would graduate in 1972 with a degree in mechanical engineering. The following year, he worked for IBM as a salesman for their data processing operations centered in India, and would quickly rise to prominence, becoming the “Rookie of the Year” in his region. He continued to work there until 1976, steadily increasing his net worth. However, IBM discontinued their operation because they did not want any Indian ownership of the company, as required by the country’s law. Two years later, Jain moved to the United States and would study at Harvard Business School, earning his MBA, then joining McKinsey & Co. before returning to India in the 1980s to marry. He went back to the United States as his wife wanted to live there, continuing to work for McKinsey & Co. until 1986, when he was offered work on insurance for Warren Buffet’s Berkshire Hathaway; he was invited by his former McKinsey boss Michael Goldberg who also left the company to join Berkshire Hathaway four years prior. Ajit knew very little about insurance when he joined the group, but slowly worked his way up until he became the President of the Berkshire Hathaway Insurance Group – his net worth would increase at a dramatic rate during this period. In 2014, it was suggested to shareholders that Jain and Greg Abel would be appropriate successors for Warren Buffet as the CEO of the company. According to Buffet, Jain has created the re-insurance business out of nothing and has taken risks in markets no other company wanted to know about. Warren’s son Howard is also said to succeed as the non-executive Chairman to ensure that the company would retain the culture it has been known for. For his personal life, it is known that Ajit has been married to Tinku Jain since 1981, and that the two were paired by their parents; they currently reside in Connecticut. He also founded the Jain Foundation in 2005 in hopes of curing dysferlinopathy, which is a neuromuscular disorder also known as Miyoshi myopathy, which is located in Seattle. Aside from this, Ajit practices the ancient Indian religion Jainism – because of which he is a strict vegetarian. According to the book “The Warren Buffett CEO: Secrets from the Berkshire Hathaway Managers” written by Robert P. Miles, Jain was not interested in returning to the United States if it was not for his wife who wanted to live there.